Buying used and refurbished linear accelerators can save medical facilities a great deal of money. This is fairly critical when it comes to the limited budgets that growing healthcare centers face. The question most often asked is about the HV (high voltage) hours, beam hours, and how important their role is in determining the wear and tear of a LINAC. The most universal analogy comes down to the mileage of a used vehicle, the more miles usually means more wear and tear. The higher the mileage, the less you should expect the resale value to be. Beam hours are very similar. Beam hours are equivalent to the time that the beam has been in use. Thus, higher HV hours often means that these machines will be priced lower than LINACS with lower beam hours. This of course assumes all other things are equal. 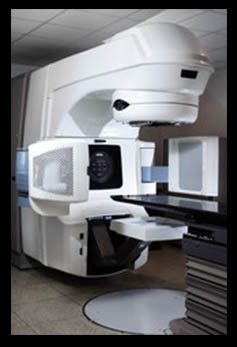 In reality a dozen factors go into determining the price facilities will pay when purchasing a used linear accelerator. These include factors such as manufacturer, age of LINAC, updates to software/technology, and upgrades to the machine. The chart below offers a reasonable explanation to what facilities should expect in regard to beam hours. On the top you will see a number that reflects the years a used machine is expected to be in place at the new facility. When a facility is getting started, doesn’t expect to see a lot of patients, and expects to have a higher revenue to purchase equipment in the next couple of years a used LINAC with higher beam hours is acceptable to be purchased. However, if this same facility hopes to hold onto the machine for an extended period of time or expects to see a high number of patients, they should re-evaluate the number of acceptable beam hours that can be on a used LINAC. Situation: A health care center looking into adding a cancer treatment center to an already booming facility. They are expecting that as they make available this new treatment option that their revenue will increase. They also expect that as patients become aware of the option for treatment the number of patients, they can expect to see should be higher than they are to begin with. They want to purchase a LINAC without having to replace it for about 10 years. What amount of beam hours should they be looking for on a used LINAC? This facility, because they are assuming, they will see a high number of patients for treatment as the word spreads that they are offering LINAC treatment should assume that in time they will be seeing more than 10 patients a day. Even if they start out slow at 5 patients a day now, it is assumed that they will be treating upwards of 15 or more eventually which will average out. Because they want the equipment to last at least 10 years this facility should only be looking at LINAC systems with between 1000-1500 used beam hours anything with more than that will not serve the purpose for the volume of patients they are expecting or the years that they wish to use this piece of medical equipment. Another thing a facility needs to consider is how often IMRT and VMAT treatment will be used. These two types of treatment options consumer more beam hours. This should be considered when looking into a used LINAC. This illustration should be used only as a guideline. With proper, regular maintenance, servicing, and parts replacement, used/pre-owned linear accelerators can last for years even with a high number of beam hours.